KIEN GIANG (VNS) — Viet Nam and Thailand plan to step up collaboration efforts in the supervision and management of fishing activities in the sea area between the two countries. It was the conclusion of a meeting between representatives from the southern Kien Giang Province and Tanee Sangrat, deputy general director of Department of East Asian Affairs under Thai Foreign Ministry. Deputy chairman of the provincial People's Committee Mai Anh Nhin said in recent years the provincial authority has taken measures to prevent fishermen from both sides from illegal fishing operations along the maritime border between Viet Nam and Thailand. 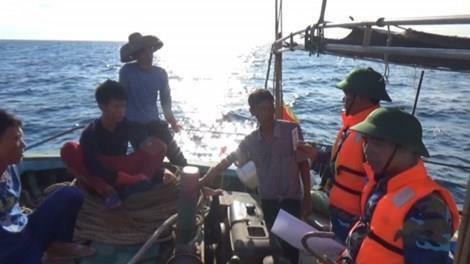 The deputy urged Thai law enforcement forces to notify its Vietnamese counterpart immediately and strictly follow regulations and protocols set out by the two countries in cases of illegal fishing operations. Nhin demanded Thai authority severely punish those responsible for the shooting and excessive use of violence against Vietnamese fishermen on September 11, which left one dead and two injured and take measures so that the similar incidents will not occur in the future. The Thai director general Tanee Sangrat acknowledged that Thai law enforcement forces had failed to handle the incident in accordance with its own Government's non-violence policy and expressed his condolences to the shooting incident's victims and their families. The two sides agreed that the two countries must work together to enforce a strict non-violence policy in dealing with fishermen and to advise them from carrying out illegal fishing operations. They also called for the establishment of a hotline in order to assist fishermen in cases of emergency in the maritime border between Viet Nam and Thailand.